hypnocoffee; coffee roaster, coffee bar: Dinosaurs! 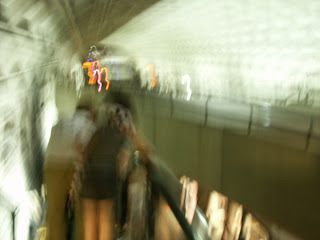 The HypnoFamily propelled through the ether, over mountains, across interstates, and inside trains in order to rescue one of our own from occupied Virginia, otherwise known as Washington DC. Gretchen traveled like a seasoned professional; very little crying, a snack here and there, and of course, lots of feculent undergarments. Charlie, too, travels well, especially given our destination. 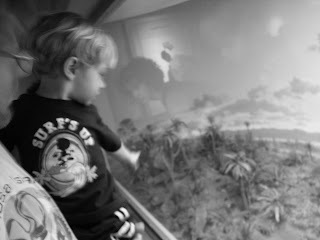 Chloe had been enjoying the city with our Floridian friends, and since we had made the effort to get to the urban environs, we decided to take in the Smithsonian Dinosaur Exhibit. 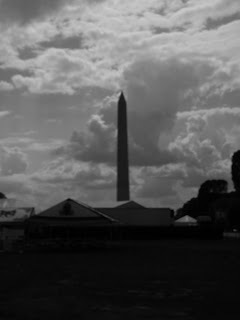 The exhibit was in the museum where Ben Stiller works as a night watchman, and just outside is the monument where Forrest Gump re-connected with Jenny, the Washington Monument. Not far away is the Lincoln Memorial where young Lisa Simpson sought solace after discovering the corrupt nature within her congressman; so much history, but alas the HypnoVessel summoned us back to the mountain. We bid a terse adieu to the hundreds of thousands of exasperated motorists, and ventured back through the ether to home. Today finds me scrambling to re-enforce the supplies in preparation for Mountaineer Days. We look forward to all the new friends and visits from regulars. See you all soon.